Young and old alike love to get painted! Kids, who are already naturally great at playacting, love wearing their characters on their faces... and it's not unusual to see roaring tigers chasing flitting butterflies around the yard. Adults love to live out their fantasies too. And those who just want "a little something" can be accomodated, whether adult or child. 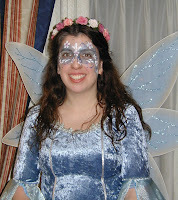 Theme and princess parties are also always possible! These fun, hand-painted tattoos can last up to a week with proper. They are water- and smudge-resistant, making them perfect for pool parties, Sweet 16s or any other teen event, bachelorette parties, and even a fun and funky addition to wedding receptions! 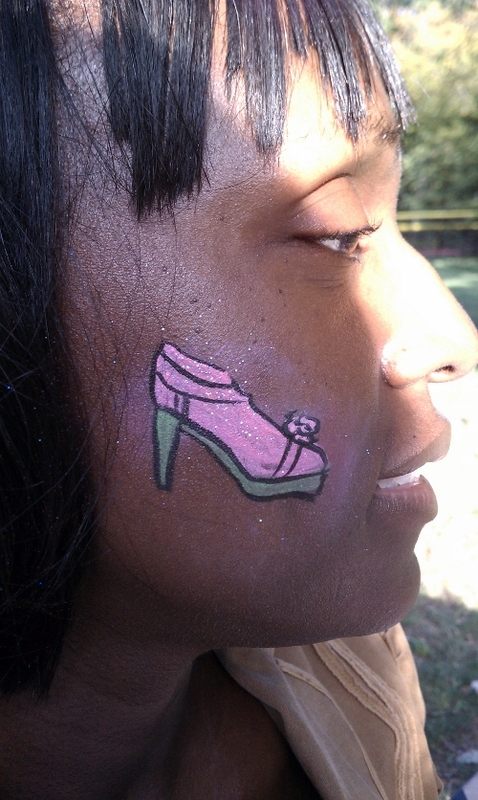 My tattoos are done primarily with stencils and custom ink and glitter colors, as well as sparkly rhinestones. Designs are not limited by the stencils, though, and paintbrushes can be used to paint on the adhesive for glitter tatoos or the temporary tattoo inks. If you're having a theme party, be sure to inquire as to themed stencils, like my Alice in Wonderland set. 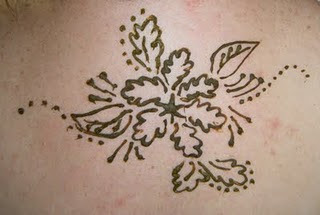 Henna, depending on your skin and if it's on the right spot, can last the longest of the three types of body art offered. Natural brown henna starts as a bright orange stain and darkens over the next day or two, so it will be most intense a few days after it's applied. 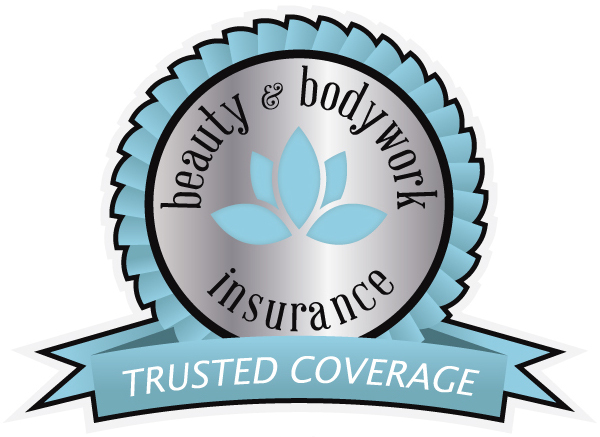 Face & Body Art by Larissa is available for your events throughout NY and NJ, but a travel fee may apply for distances greater than 20 miles from Carlstadt, NJ. Costumes and themes may be available for an extra fee, such as a faerie, queen, clown, wizarding student, vampire, pirate, or Renaissance Wench.